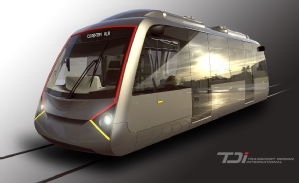 A 3D image of the Very Light Rail vehicle that would be expected to operate around Coventry has been released. It will be battery powered with an expected capacity of 50 people. The first vehicle is expected to be manufactured in the middle point of the next decade.